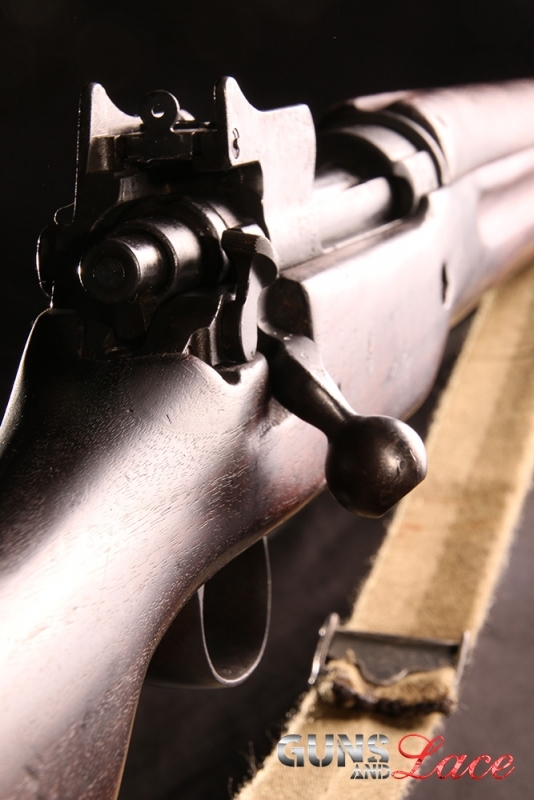 Inspired by the British Enfield, the M1917 30-06 was produced by Remington, along side the Springfield to outfit the American Expeditionary Force in World War I and was the main rifle used by them in Europe during World War I. Call it romance, call it history, I find myself drawn to the military rifles of old. 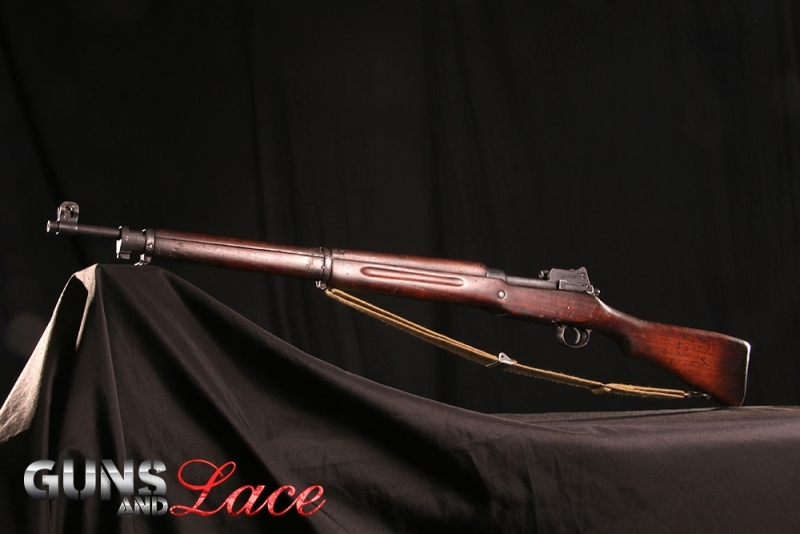 Over a half million of these fine rifles were produced and carried by American men in World War I as they fought bravely against German oppression and stood their ground in the trenches of Europe. A bolt action, heavy barreled rifle with a box magazine that utilizes stripper clips, it was very accurate. 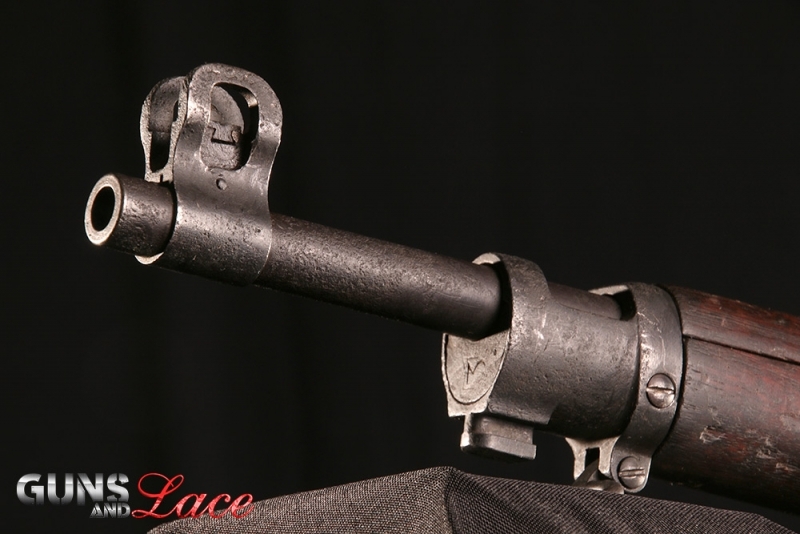 Though it was a standard issue foot soldier's weapon, it saw action as a sniper rifle all the way into Korea and the early days of Vietnam. Old does not mean inefficient that is for sure! I loved the firm press of the bolt and how tight it locked down. No lightweight, the Remington 1917 weighs in at over 9 pounds and kicks hard when you pull the trigger. Straight as an arrow its rounds impacting the target at 100 yards. The simplicity of iron sights and ease of getting and staying on target speak volumes to me about how over complicated optics have become these days. I can almost here the whispers of those who have shot this rifle before me saying ready, aim, fire. I can't tell you how exciting it is to shoot a rifle that is just as capable today as it was 100 years ago! Guns and Lace girl, Abby Jane, is a beautiful young lady who is as American as Apple Pie, sweet as the girl next door and as attractive as they come. Abby, raised in California, moved to Washington State with her Mom and sister and found her passion in learning to sign for the deaf. No stranger to hard work, Miss Jane holds a full time office job and is a free lance model. On the weekends you'll most likely fine her working on her car or out hiking the beautiful trails of the Pacific Northwest. Abby is a new shooter who sought out Jessica of Guns and Lace Training to introduce her to the sport and help her master the skills necessary to protect herself and be an independent American woman! She understands just how important the 2nd Amendment and the right to bear arms is to our freedoms and our way of life here in America!